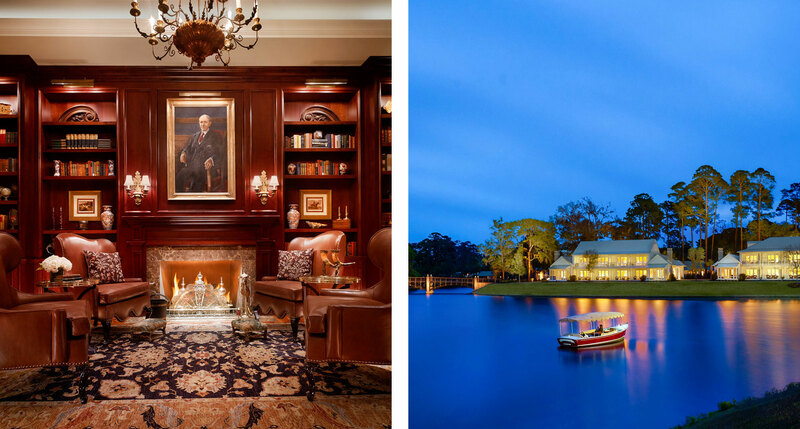 One of the greatest bands of the American South meets some of its greatest hotels. We’ve recently added a number of terrific American hotels to our selection that sit south of the Mason-Dixon line. Each one is evidence that the phrase “Southern Hospitality” isn’t a cliché, it’s a fundamental expectation (like having a bit of heat in your fried chicken). 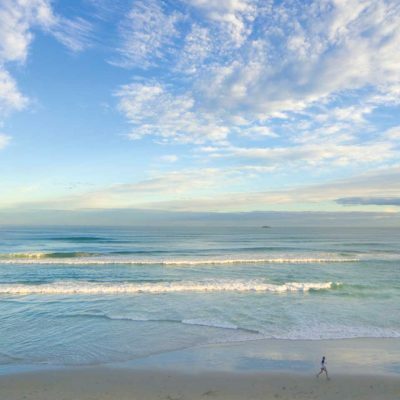 We’ve decided to spice things up a bit ourselves by pairing these great Southern hotels with songs from a great Southern band. Formed in Georgia, R.E.M. 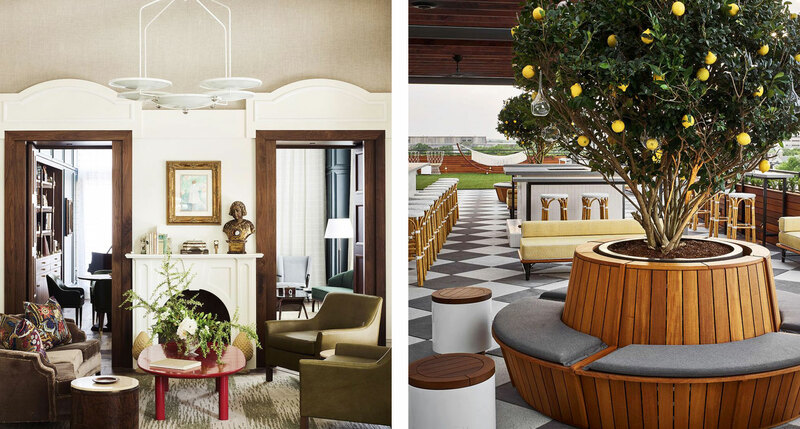 is known for a country-influenced sound that blends modern and traditional styles in unexpected and beautiful ways — just like the hotels below. Follow along with our R.E.M. — Southern Hospitality playlist on Spotify. We stay in R.E.M.’s home state, and turn to their first single release: “Radio Free Europe.” Appropriate, since the first thing you notice about the Clermont is the 65-foot tall, 1920’s-vintage radio tower perched atop the hotel’s roof. 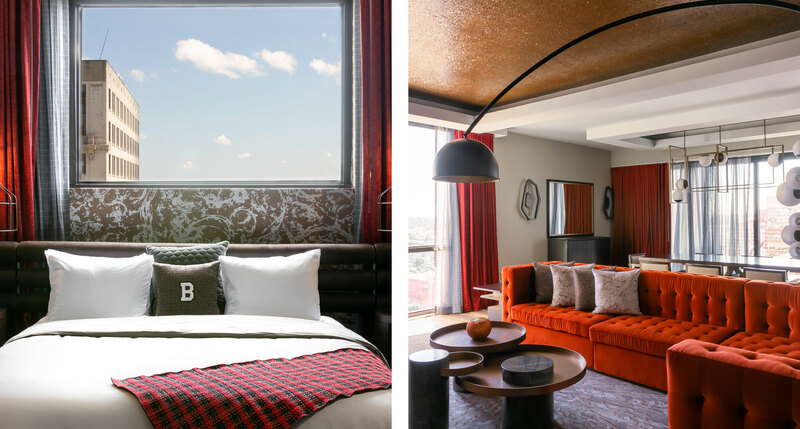 The iconic tower calls out as a symbol of the building’s resilience and rebirth through the decades, from glory to decay and back to its rightful place as a first-rate boutique hotel. The song, of course, probably has the other Georgia in mind: the one in Eastern Europe, where the original Radio Free Europe aimed to spark a different sort of rebirth by broadcasting news and information to repressed countries. 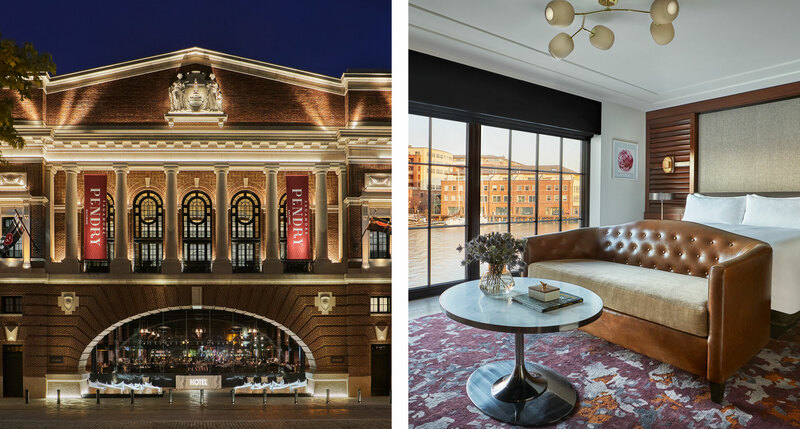 The Sagamore Pendry sits in Baltimore’s lively Fell’s Point neighborhood, surrounded by bars and restaurants and looking proudly over the city’s famed inner harbor from its perch on historic Recreation Pier. The maritime exteriors are reflected inside the hotel by a nautical-tinged décor that pays homage to the harborside location without devolving into theme-hotel kitsch. Baltimore is swapped for Bolshevik Russia, but “Harborcoat” pulls off a similar trick. Singer Michael Stipe paints a picture of working-class wharf life under Lenin without making the moral explicitly clear — a specialty of his oft-inscrutable lyrics. Of all the hotels on this list, Old No. 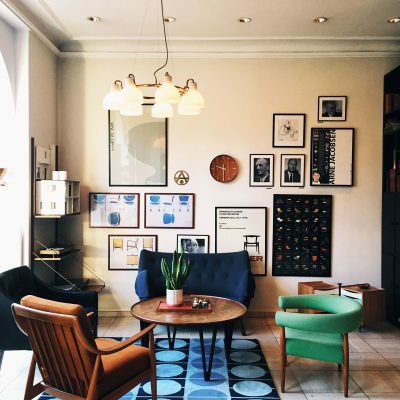 77 Hotel & Chandlery reminds most clearly of R.E.M.’s bohemian art-school spirit. The former coffee warehouse provides a lively backdrop for guests, full of rich textures in exposed brick and aged wood, and full of impressively accomplished work by students from the New Orleans Center for the Creative Arts, a tuition-free arts-focused high school. Fables of the Reconstruction was R.E.M.’s most artsy and experimental album, and “Driver 8” was the standout track, filled with vivid imagery of the rural south and direct references to the Southern Crescent, a train line that’s run for decades from New York to — you guessed it — New Orleans. Only a political song will do for the world’s most political town. “Begin the Begin” is the opening track on Life’s Rich Pageant, and was R.E.M.’s most overtly political song up to that point. One line in the song, “Silence means security, silence means approval,” might as well be referring to Washington D.C.’s acceptance for too long of hotels that lack personality, and that are content to cater to the expense accounts of visiting diplomats, lobbyists, and business travelers. 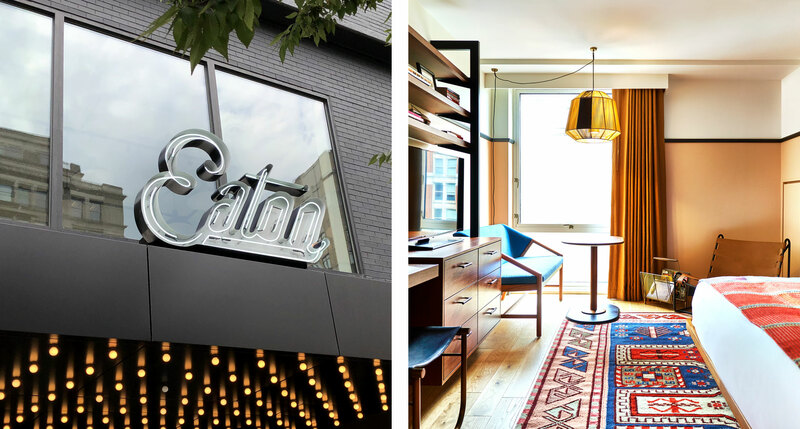 The insurgency has begun, though, with hotels like the Eaton breaking free from D.C.’s aesthetic conservatism and even sporting a social-justice ethos that would make this socially conscious band proud. The Bobby is a rock-and-roll hotel in an iconic music town, and there’s no R.E.M. song as rocking or as iconic as 1987’s “It’s the End of the World as We Know It (And I Feel Fine).” Murals and graphics in the rooms at Bobby pay tribute to the Music City, but in a hotel like this, the rooms are only part of the story. 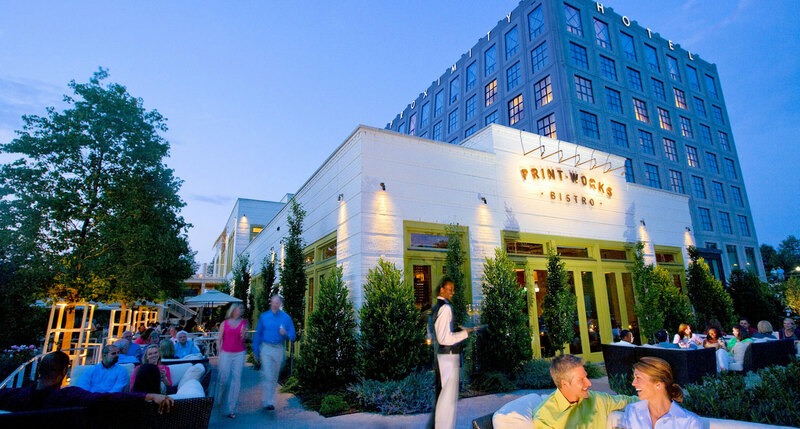 Nashville is a city that’s known for its nightlife, and Bobby has plenty to offer in this department, from the twin restaurants, the Café and the Tavern, to the ground-floor Garage bar and the open-air Rooftop Lounge. You’ll feel fine at Bobby, end of the world or otherwise. 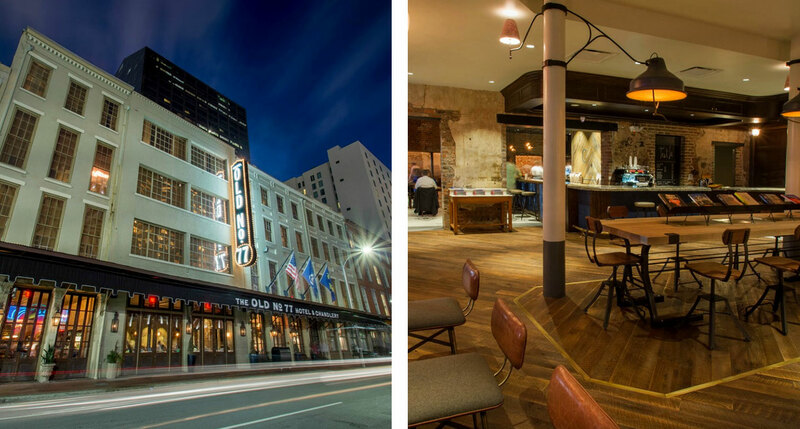 The Proximity Hotel is the first hotel in America to receive the LEED Platinum certification from the U.S. Green Building Council. If there’s an environmentalist heaven, then this is how you get in. 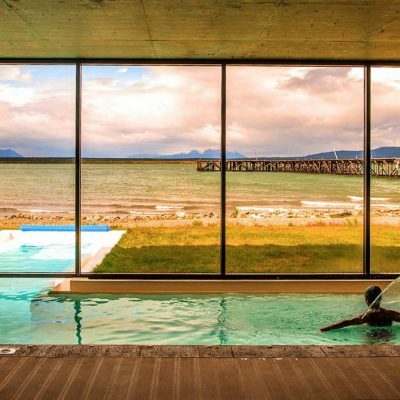 The hotel is built with recycled materials, heated by solar power, cooled geothermally. Efficient lighting conserves energy, efficient plumbing conserves water, even the elevators return energy to the system. “Stand” hasn’t always been taken seriously, but when the song asks you to “think about the place where you live” we can’t help but be reminded of the kind of earnest local activism that Proximity Hotel stands for. “You Are the Everything” begins with the hum of crickets, before a mandolin, an accordion, and Stipe’s longing vocals proceed to lay the groundwork for what would become an R.E.M. signature sound: spacious, country-adjacent ballads with epic, emotional themes — a style found later in hits like “Half a World Away,” “Everybody Hurts,” and “Strange Currencies.” South Carolina’s low country is essentially the visual equivalent of these songs, from the region’s dramatic, dripping live oaks to the slow stillness of its swamps and marshes. 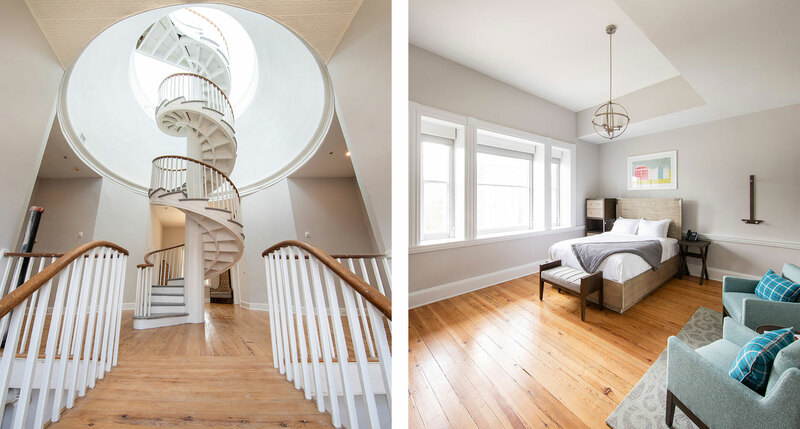 And Montage Palmetto Bluff is the quintessential low country accommodation, from its clapboard cottages to its charming riverside locale to its extensive nature preserve — and the stars are the greatest thing you’ve ever seen. The building that is now home to the Blackburn Inn began its life as the Western State Lunatic Asylum. How could we not, then, pair it with a song that takes its title from a southern expression for losing one’s temper or civility. That all said, a thorough renovation has brought the hotel a long way way from its initial purpose. The interiors are stylish, and not overly devoted to the building’s visual heritage, with an eclectic mix of farmhouse and modernist flair. The result is as fresh and surprising as it was when a song as eccentric as “Losing My Religion” became R.E.M.’s biggest mainstream hit. If you were to indulge in a bit of night swimming, a waterfront hotel like the Wylder would be a good place from which to launch. The hotel pays tribute to the kind of bayside bed & breakfast you can imagine visiting on a family vacation — and sneaking away from for a romantic late night swim under the quiet light of the moon. That’s not to say the hotel itself, a 1898-vintage boarding house, doesn’t provide its own dose of romance. 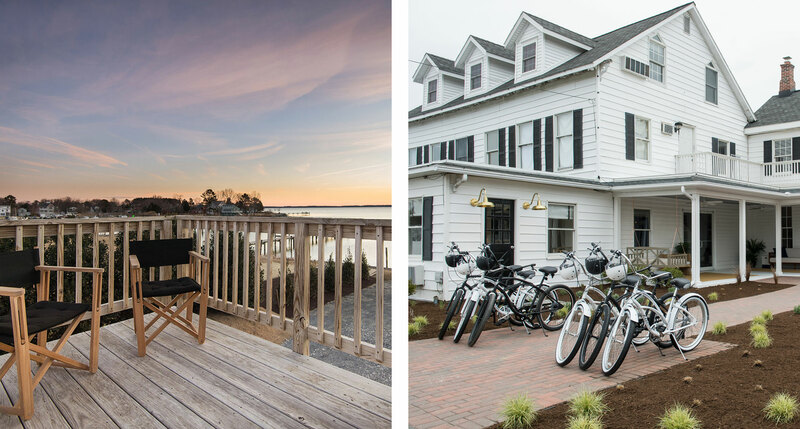 Maritime colors and materials — wood and brass, sisal and rattan — reinforce the connection to the Chesapeake Bay seafaring life, while the comforts are pure modern luxury. Automatic for the People has more than a few connections with Miami. Portions of the album were recorded there, the cover image features a star ornament from atop an old motel on Biscayne Boulevard, and promotional stills were taken in and around the city. 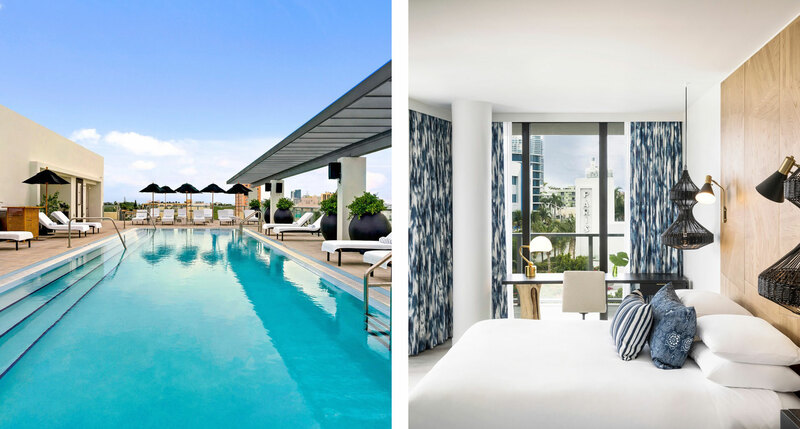 The album’s biggest hit, “Man on the Moon,” deals with themes of doubt and belief — like the doubt you might feel upon hearing that South Beach has a tasteful and restrained side, and the belief upon seeing how perfectly represented it is by the Angler’s Hotel. Neither Art Deco obsessed, nor a prime party spot, nor overbearingly luxe, Angler’s hits all the right notes for guests who want to experience this major American city without all the overdone glitz and glamour. 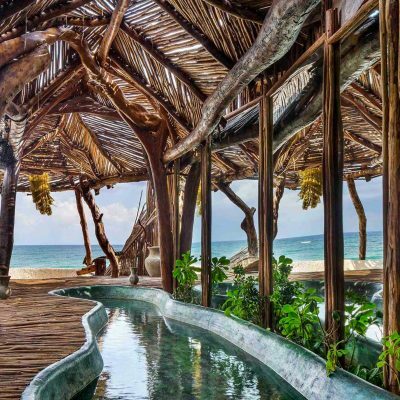 A fun and funky hotel for the most fun and funky song on R.E.M.’s most fun and funky album. 1994’s Monster was a huge departure for R.E.M. They replaced the serious southern folk of the previous two albums with over-cranked distortion and, for the first time ever, the band seemed ready to party. 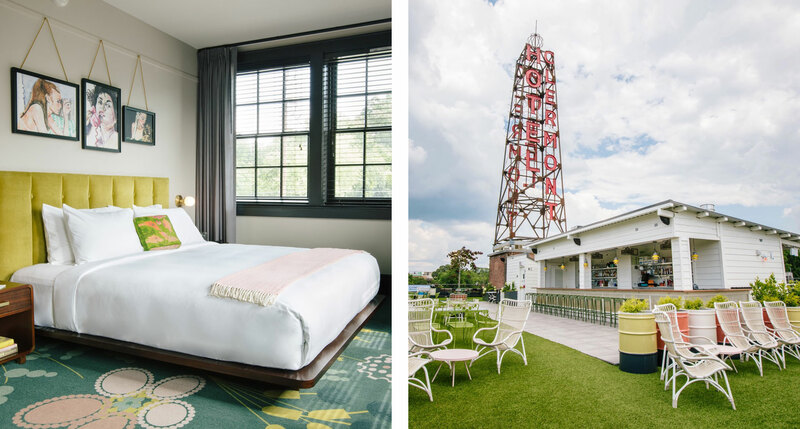 Similarly, the Dwell is quite the departure for the Chattanooga hotel scene. 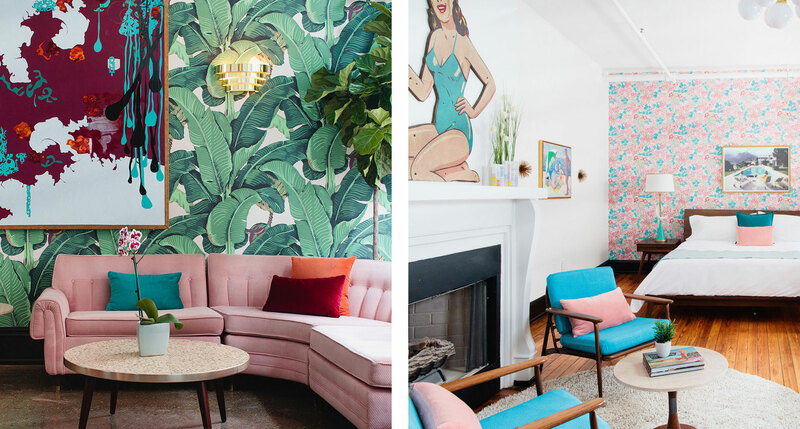 Dwell is the first proper boutique hotel in this small Southern city, and it’s practically bursting with life and color, thanks to a thrilling yet thoughtfully applied interior design from new owner Seija Ojanpera. Our R.E.M. playlist is available on Spotify, along with more great playlists from Tablet Tunes.